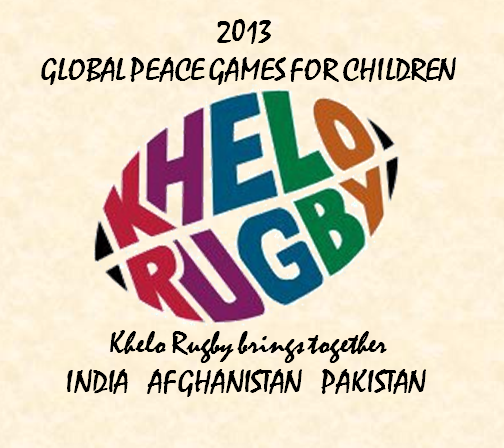 Earlier this year we decided that Khelo Rugby would attempt to unite our small Khelo communities in India, Pakistan and Afghanistan with a shared sporting experience as part of the United Nations Global Peace Games. 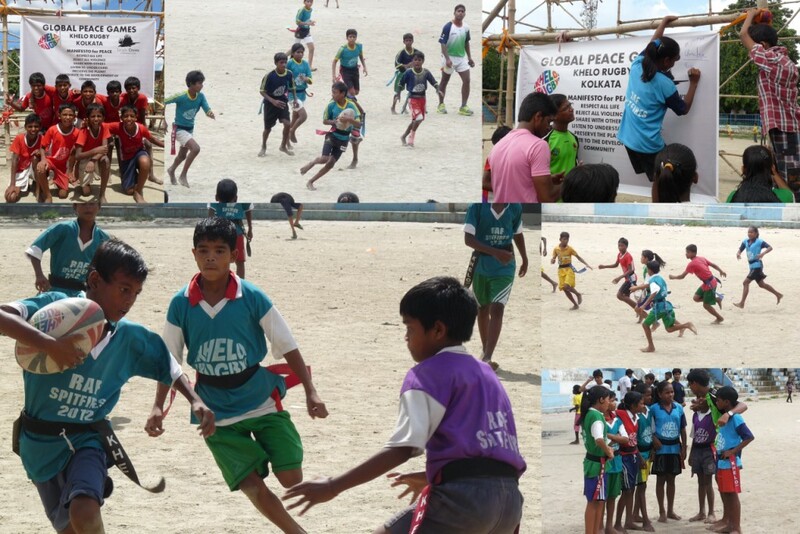 Though separated by borders and 1000s of miles apart we hoped that seeing other children playing and coming together for the same cause would help foster the spirit contained in the Manifesto of Peace for our Khelo Rugby children. The United Nations International Day of Peace falls on 21 September and in order to support this initiative the UN has for several years promoted the idea of organisations holding Peace Games. These Peace Games are intended to enable children and young people to come together and learn a little more about what Peace means and share a fun and sporting experience that declares their support for the ‘Manifesto of Peace’. In advance of the Games organisers are encouraged to discuss with children what they feel the term peace means to them. 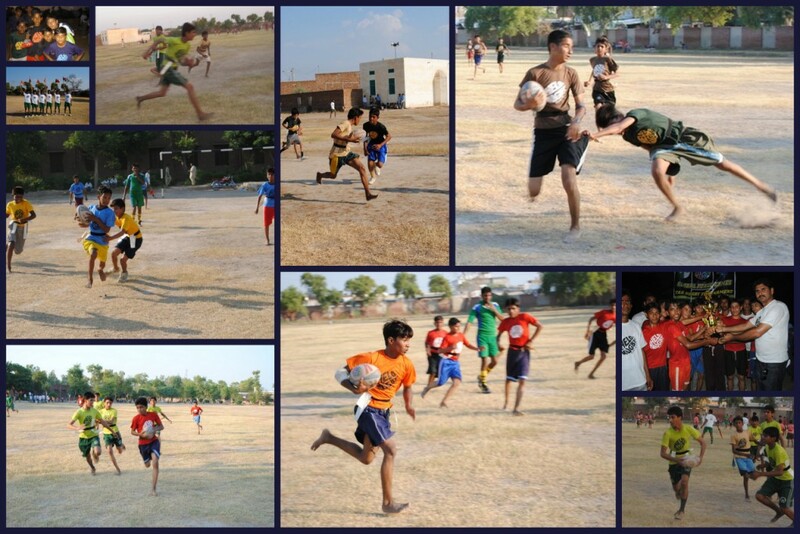 Though the title Global Peace Games may sound rather grand and the idea of being part of a Global event a little intimidating, the event itself needs to be low cost (self funded) and held at a grass roots level so it can relate to all the youngsters that participate (and be affordable to folks like Khelo Rugby!) The Peace Games are more normally associated with football and were in fact founded in 2001 by the NGO Play Soccer (http://www.playsoccer-nonprofit.org). Once registered we received a message of support from Wilfiried Lemke who is the UN Special Adviser to the Secretary-General on Sport for Development and Peace and a message from the President of Fifa. We did tweet the CEO of the International Rugby Board to see if he would also like to send a message but he was obviously a little busy that day or more likely thought we were a bit mad. Saying this it would be nice to see the global rugby community come together with some shared campaign in this way and perhaps in 2014 the IRB might be persuaded to be involved, it only takes a short letter which acts as the message of support – #TryForPeace. So with our registration in place and clutching our messages Khelo Rugby set out to share and promote our own Peace Games. First out of the blocks was Kolkata with a 12 team tournament held in Kidderpore at Nawab Ali Park on Sunday 22 September. And very exciting for us that Amirul was able to bring a team all the way from Saraswatipur to play in the tournament. This was the first time most of the Saraswatipur children had ever been away from their village and great that they were able to do this with a visit to their Khelo brothers and sisters in Kolkata. 12 teams, 120 odd children, biryani, bananas and more than 100 signatures on the Manifesto of Peace – all the ingredients for a great day of sport and fun. And though it’s not about the winning we did have some winners with the Cup going to the super quick children of Salt Lake Dhapa, winning out over the other super quick children of Saraswatipur. Wazeeri and his ‘Try for Peace’ message – superb! Just two days later and it was the turn of Fort Abbas in Pakistan to fly the flag for Peace. And what an incredible effort! While sticking to the remit of a grass roots tournament Wazeeri and his team of young volunteers did a super job in delivering the message of “try for peace” to 100s of children. 20 Schools from across the local area took part in a mega-sized day of rugby action. To support them Wazeeri had organised 20 team managers, 10 coaches, 8 touch judges, 4 referees and 15 tournament marshals. And as the sun set on the desert location the Pashtoon Fighters had the skill and stamina to win out over Government Primary School 270 in a very close 5-0 match. Government Middle School 263 placed third. As children and volunteers made their way home all involved were able to reflect on an incredible effort to promote the message of peace and come together through rugby. The Afghanistan leg of our Peace Games will happen a little later this month with our own Zaffar in charge of organising. We are very much looking forward to seeing the event Zaffar puts on and I know many of our children and the Khelo Coaches in India and Pakistan are excited to see the Afghan children in action. 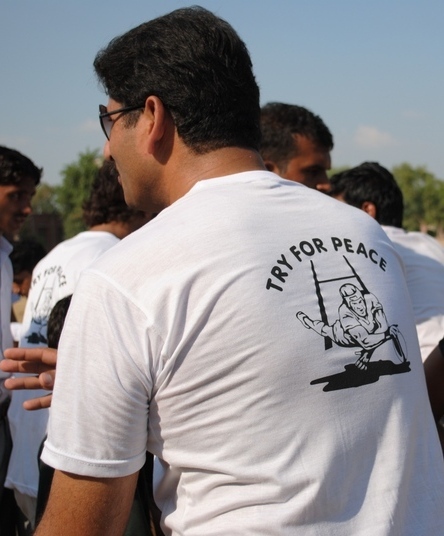 Zaffar will be writing about his Peace Games as soon as they are completed! It was a tremendous effort to make the Peace Games in Kolkata and Fort Abbas such a success. Special thanks go to Hari in Kolkata and Wazeeri in Fort Abbas who really led by example and who I know are both really committed to the children and the message that the games attempted to deliver. HUGE thanks to to all the volunteers who took part and made the days events to remember. For me it was great to see how powerful sport can be and how it can bring together young people under a common message. This isn’t in itself life changing stuff, but by each of us taking a small step, in what is surely the right direction, we can make a difference. 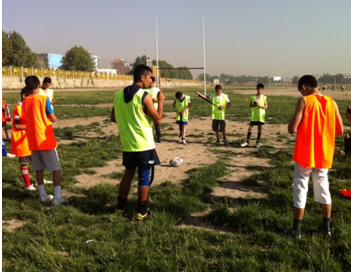 With Ramadan and Eid out of the way our Kabul Khelo coaching has moved into full flow. Our community coaches have swung into full action with regular coaching now at eight communities every day of the week. Fantastic weather and a motivated team am sure there is more to come in the upcoming months and things will get better and bettter. The kids have been super excited to be at training. Some children start as early as 5.30am and the kids are much better than the Kabul government civil servants at going to the office, they are on time, ready to go and full of energy. We’ve also had some of the big boys from the Afghanistan Rugby team come out to some of the trainings including the Afghanistan Rugby captain Sayed Mustafa Sadat. The children always love it when he is around…and why not 6ft 2in big shoulders and a very handsome guy, he is very hard to miss. But the kids do not love him for his image but for being a good person, Mustafa is very gentle and full of humor with the kids. He recently donated half his liver to his mother who was struggling for life. He has been both a sport and human idol to all of Afghanistan. We caught up with Mustafa over cup of green tea (the best thing to have while in a conversation in Afghanistan) and asked him about Khelo and Rugby. 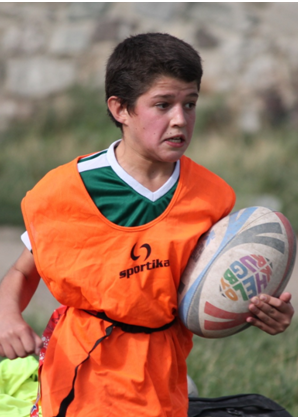 Did you enjoy the training today with the Khelo Rugby children? Yes the training was really good the kids are very excited to learn a lot about the game and I think they will become very good players. They are learning from a very young age and so they will learn quickly. They will need to get stronger physically and mentally but that will happen with time. What did you like about the training? The training is very interesting because the important things are well taken care of…for example being punctual, respecting your team mates and more important the training is fun. There are lots of fun games being played. Which I think will always get the kids motivated and interested to come back to the training. What do you think about the concept of Khelo Rugby as a community project? Yes it is good…Khelo is doing a very good job. 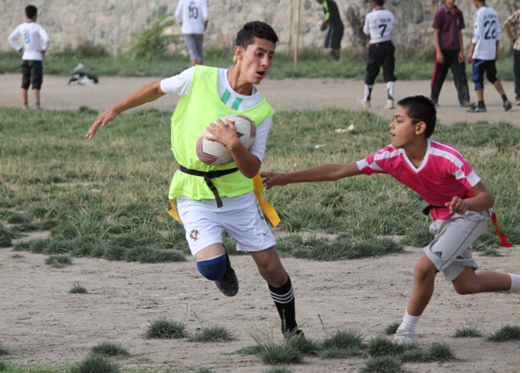 What it is doing is growing rugby in Afghanistan and that’s important because until and unless we develop the sport with children and young people we will not have a good grassroots. Which in turn will mean we would not develop a big variety of players to choose from. I know it will take time and we must have patience. What Khelo is doing ,I think in a few years time we will have a good base of players to choose form. How do you think we can grow rugby in Afghanistan? Afghanistan Rugby Federation (ARF) needs to invest in the national team and give us more exposure and facility so that the national team can work in learning and developing the skills. Also the same for the kid’s rugby. We need to find financial support and also coaching support for all of us so that we can grow as a proud rugby playing nation. Tell us some thing about your first sport and why rugby? Laughs… my first sport was very different from rugby but yes lot of running involved also but not contact and we passed with our legs. I used to be a very good football player, well still now though I have not practiced since I have joined rugby, I represented Afghanistan in the U19 football also but after an injury I had to quit playing. 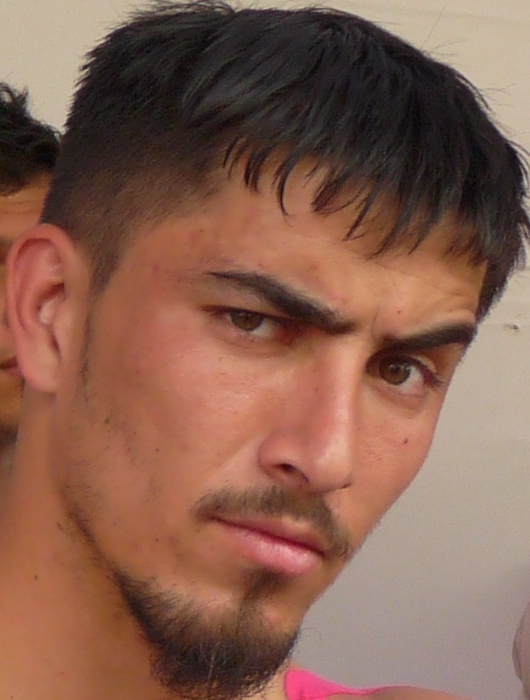 I was also in the Afghanistan National kick boxing teams for 4 years years. I think I was doing very well. I like rugby because it is a contact sport and the most important is it is a very good team sport, football is a team sport but what is interesting about rugby is that you have to really work hard for each other. It is not an individual sport, you have to rely on each other…it is like a house of cards one falls and the whole will fall…every one needs to step up to the challenge and work together. What is your basic dream for rugby in Afghanistan? My basic dream about Afghanistan is to now participate into the Asian 5 Nations championship, people talk about the world cup and more but we have to be realistic, it’s not that easy. Teams in Asia like Japan and Hong Kong are way above the rest of the Asian teams and even they find it difficult to jump the qualifying round of the world cup… so we have to be realistic and focus on the plan rather than the unachievable image at the moment. I think I would like Afghanistan to participate in the Asian Division 5 next year and begin working our way up the ladder. I enjoyed chatting with Mustafa over a few green teas and it was great that he took time out to be with the kids. Khelo Rugby is really kicking on here in Kabul and it’s very exciting to be involved in the development of rugby and to be giving all the Khelo children such a good time. 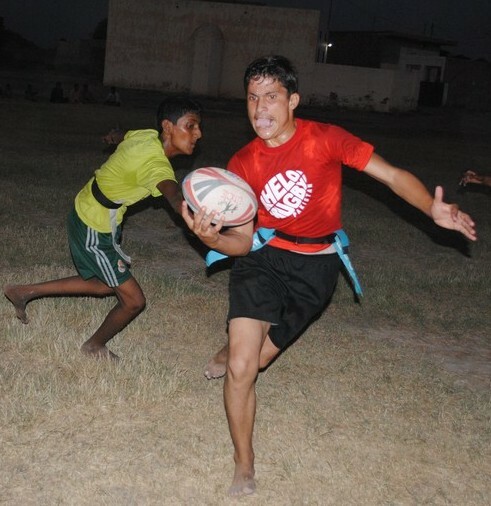 Ramadan is one of the most important holy months in the Afghan calendar and at times a tough one for all of us who are still getting out and playing rugby. The children seem to have no problem and are full of energy and stamina as they brave out the days in the heat, running and leaping around. With no food or water for more than sixteen hours it’s taken a lot more than being brave for me, and I always seem to be the Coach seeking out some shade. Sikandar, aged twelve on the other hand well he’s very excited about coming out on the field during Ramadan saying, “playing is tough but I am working on my six pack so it will help me” he winks with a big smile, as I retreat from the sun, again! 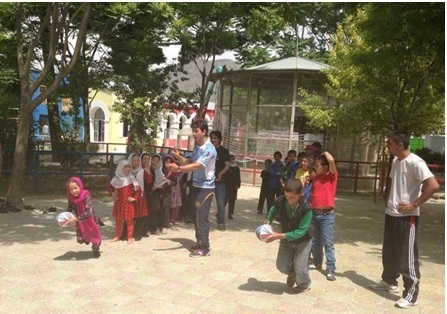 In Khelo Rugby we talk about ‘Growing up with Rugby’ and this is really blossoming in an exciting way in Kabul today. Finally I must mention that some of the Afghan rugby boys and friends from Kabul have been very kind to invite me to dinners in this month and so I wanted to share some of the pics as it looks and of course tastes WONDERFUL! The past week in Kabul most days for me has started under the strict rule of our latest Khelo Community Coach Khanjer, and things could not be going better! Time in Kabul is punctuated in a way I have never experienced before same usual bomb blast, the same usual dohg (a local street drink made with Yogurt) and most of all the people and their smiling faces in times of difficulty and misery. 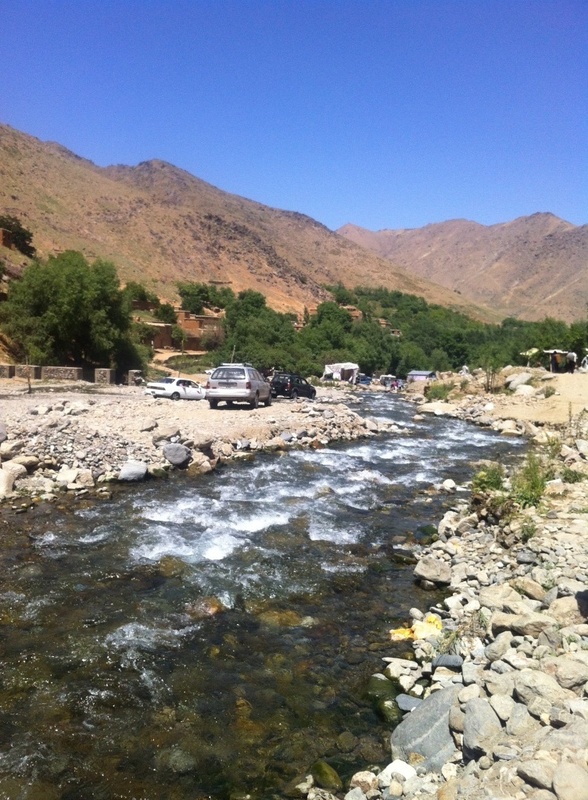 But Afghanistan still looks stunning all the time. Kabul has always surprised me and the biggest surprise came to me these last few weeks while I was coaching with Khanjer. Khanjer has quite a bit of experience as a rugby player, in 2011 he came to Kolkata to train with my club the Jungle Crows hardly knowing the game, since then he has played for Afghanistan in Dubai and Asian 7s in Mumbai. 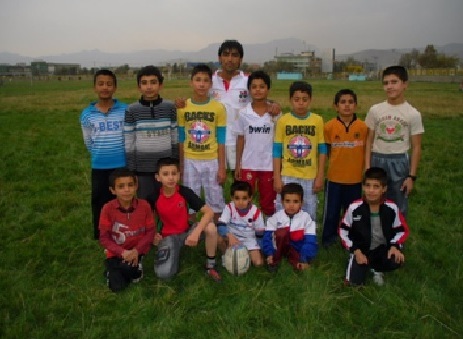 And he has also just gone through our Khelo Community Coaching programme here in Kabul. What Khanjer has is this great way of coaching, a way I have only seen Coaches with ten or more years of experience coach. He has a focus on precision and the skill of making difficult drills or game situations look really easy to kids. I sat down with Khanjer for a few minutes between coaching and dohg and asked him what Khelo meant to him and what he thought were his coaching values. It’s been great working with Khanjer over the past couple of weeks and seeing how he is really driven by his dream of taking rugby to all the children of Afghanistan, I am hoping that Khelo Rugby can bring that dream a bit closer to reality. It’s been the 5th time I have been to Afghanistan but the feelings of coming to this land is always special. I remember I have never been to Kabul in a full summer season but this time I was lucky as both time and season was on my side. I have come to Afghanistan to develop Khelo Rugby and I have given my self four months to achieve it with the help of my rugby friends and supported by the Jungle Crows Foundation. As we landed and the airplane door opened the smell of fresh air punched with diesel hit me. I loved the smell, do not know why, maybe because I was now familiar to it. It was a stunning afternoon with the sun beaming down on the far mountain. People seemed happy I was back so was I. The boys from Kabul United RFC picked me up along with the CEO and as we drove through the busy street of Kabul I was smiling. Everything had changed so much and some time it felt nothing had changed. The tour started with a coaching session with the Afghanistan National Rugby team who I will be helping out along the way. I was excited the next day and the eager feeling of going to a field was for sure displayed on my face in bright big block letters. Mustafa the Captain of the Afghanistan national team had arranged for a ground after a lot of efforts. What I did not expect was that it would be the Bomb disposal squad ground… every time I walked my mind and heart for the first time agreed together and said “STOP MOVING” .Boys from two clubs Kabul United and Khorasan R.F.C came to the practice and rather making it structured, I just let it flow, did not want to be a pain on the first practice. Our first Khelo success was at the organization called the Kabul Circus. Situated in a posh suburb no one would believe behind the walls was so exciting, it was a group of Afghan boys and girls juggling tennis balls and sticks and bowling pins. We did a small session with the kids and they loved the game, throwing the mini rugby ball around and watching them have fun, both boys and girls was something special. Fifteen Girls and sixteen Boys participated in the session and the feedback we got from the directors of the organization was positive. The only concern they had was, “would it be possible for girls to also participate in rugby” I said according to my experience they could give the boys a run for their money. They smiled. Lyce Amania is the second Khelo centre we have targeted and the principal was more than happy to introduce a sport he has never seen. 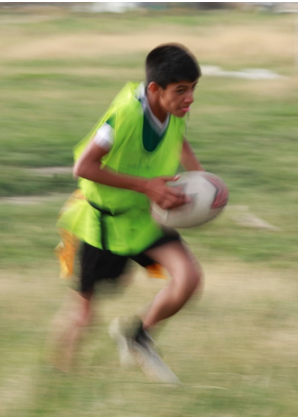 After a brief conversation with the principal he mentioned that the son of the President of Afghanistan also studies in the same school…I said to one of the new Khelo coaches (Khanjer) we have got to get him to join Khelo Rugby and play. He said “yes we should, rugby is a wonderful sport and every one should have the opportunity to play”…that kept the smile going!